Ramani's Fraser square on Good shed Road, offers both Commercial Space and Residential Apartments. A unique highlight of this project is the unmatched locational advantage. As a vantage location, this project offers a prestigious address for offices and other commercial utility establishments. 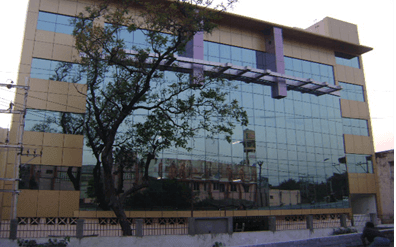 3488 sq.ft of Commercial space which can be split to your Convience is available in each of the 4 floors. It also doubles up as an ideal location for residences. Situated close to Avinashi road flyover and Head post office , residents of these apartments will have easy access to the Railway Station, shopping areas and all prime locations in the city. Each floor has three 2 bedroom flats and one 3 bedroom flat. All the apartments are sold except for one 2 Bedrrom Apartment on the 4th Floor, which spreads over 1270 Sq.ft. Of the Commercial spaces, there is a vast space of 3488 Sq.Ft available which can be divided into smaller sections to your convience for rent.